When winter winds are howling and most of the country is being blanketed by snow, put an end to you and your kid’s cabin fever boredom with a dose of summer outdoor fun in your living room. Construct a tent with blankets, toss in a few flashlights and settle in to play CAMP the board game. Your kids will be able to experience a taste of the outdoors and reminisce about last summer’s adventures as they answer questions about wildlife, camping skills and other outdoor trivia while they race their game pieces around the board to be the first back to the campsite. Few experiences help bond a family together more than spending a few days in the outdoors roughing it without the comforts of modern life and technology. But, when you cannot take the time to get away there is a new game from Outdoors Education that brings the feeling of the great outdoors into your living room called Camp. From the level one Tenderfoot to the level four Nature Enthusiast, Camp is an outdoors trivia game designed to challenge the knowledge of every member of the family. To play, each person chooses their piece and places it on a seat around the campfire. During their turn players draw a card and attempt to answer the trivia question that corresponds with their skill level. If the correct answer is given, the player rolls again. If not, the next player takes a turn as they race around the board to be the first to arrive back in camp. 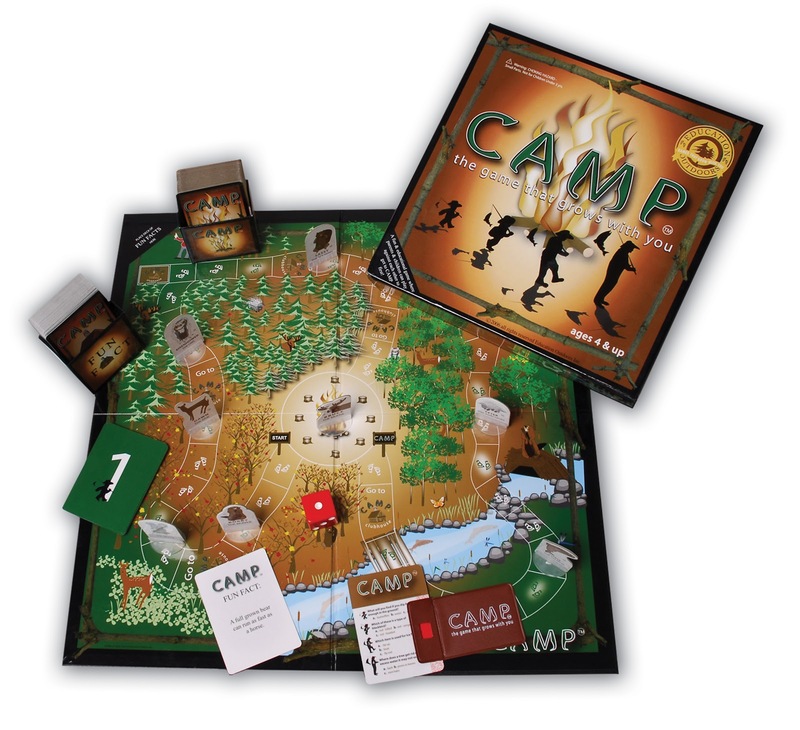 The Camp game includes: 1 game board, 199 game cards (400 questions, and 99 fun facts), 1 decoder, 8 game characters, 1 die, 16 level cards, and 1 compass card. For more information on the game, including rules, visit www.educationoutdoors.net. Camp board game retails for $24.99 and can be purchased at Bass Pro Shops, Cabelas, Books a Million stores and specialty retailers nationwide. Buy It: You can purchase Camp the Game for $24.99 from the Education Outdoors website.